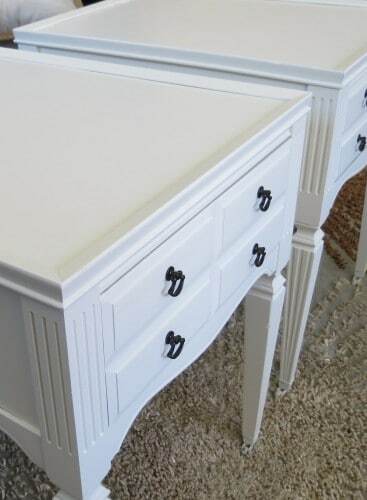 It can be so disappointing when you repaint furniture only to have roller marks all over it. It is every crafter nightmare to have people see your freshly painted project, and know clearly that it was DIY project because of the brush strokes and roller marks. 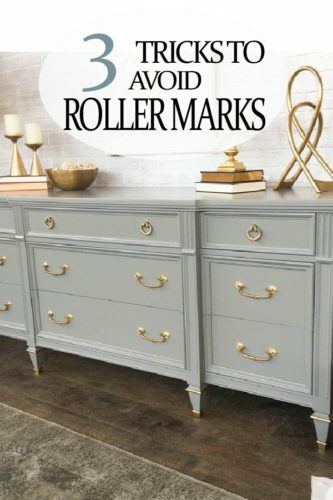 Once you have roller marks, you have to go back to square one and start sanding them down, just to repaint them, and cross your fingers it doesn’t happen again- right? WRONG! There is this amazing tricks that professional painters use all the time. Floetrol is your new best friend. This bottle of paint conditioner will cost you about $10 and last you about 10 years. You add just a few tablespoons to a gallon of paint. This conditioners make the paint dry slower…that is right, slower. The faster paint dries the more stroke marks. The paint hasn’t had time to let gravity do it’s job and smooth out the wrinkles. This conditioner allows the paint to dry slower (we are talking like 15 minutes, don’t freak out), allowing more time for the paint to settle into a flat surface. Floetrol also adds a smoother in the paint that helps reduce brush strokes too. I get nothing from the company, although sometimes I do dream of being their spokesperson. This is always the very first tip I give anyone painting anything. 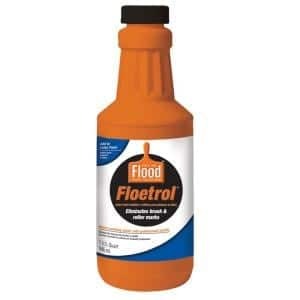 Floetrol will help with furniture, walls, ceilings, anything people! When rolling there are some things you can do to have a streak-free surface, such as purchasing a smooth (not textured) roller. Paint with a good brush, stay away from the cheapest deal. And don’t you dare buy a brush from the dollar store! Paint brushes, and rollers don’t have the same quality. Many of the cheap rollers and brushes leave marks because of the quiality of the bristles and sponge material. 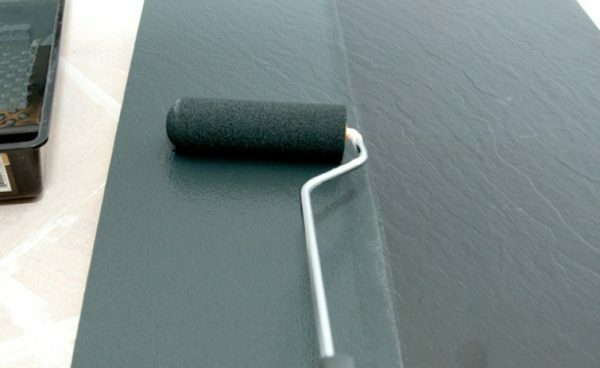 If you are painting a large surface like a table or dresser, use a roller. Brushes are for small items only. Purdy is my favorite brand of brushes. They bristles on those brushes are ultra soft. When buying your rollers, make sure you get the correct texture. Walls need texture, thus the yellow fluffy roller. Furniture tends to be a smooth texture. Purchase smooth textured rollers. Only roll in One Direction So simple, right? I’ve noticed that if I only roll in one direction, the sheen evens out and I stop getting the light or dark streaks that show every roll. Make sure you aren’t pushing on the paint as well. The roller should roll or glide across the surface with very little pressure. As the paint dries the faintest of all lines melt into one another leaving you with a professional finish!